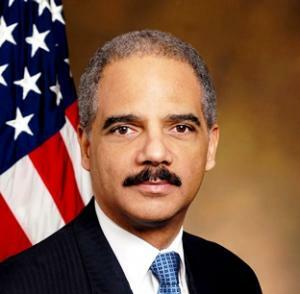 Attorney General Holder "Cautiously Optimistic" on Marijuana Legalization. In a Monday interview with CNN, Attorney General Eric Holder said he is "cautiously optimistic" about marijuana legalization in Colorado and Washington. He said that the Justice Department was focused on eight "priority areas" when it came to legal weed, including prevention of distribution to minors, drug trafficking across state lines, and drug-related violence. "What I've told the governors of those states is that if we're not satisfied with their regulatory scheme that we reserve the right to come in and to sue them. So we'll see," Holder said. Oregon Initiative Reports More Big Bucks Donations. The campaign committee for Measure 91 has reported receiving $800,000 in a pair of high-denomination donations. The Drug Policy Action Network, the campaign and lobbying arm of the Drug Policy Alliance, kicked in half a million bucks, while the New Approach PAC, tied to the family of the late Progressive Insurance magnate Peter Lewis, gave $300,000. Over all, Drug Policy Action Network has contributed $1.85 million and the Lewis group has given $1.25 million. The initiative campaign has spent more than $1.1 million on TV and radio ads. Federal Judge to Consider Whether Marijuana Should Be Schedule I. A US district court judge in Sacramento will hold a hearing next Monday on whether marijuana is appropriately classified as a Schedule I drug under the Controlled Substances Act. The hearing comes in the case of United States v. Pickard, et.al. Expert witnesses, including Columbia University psychology professor Dr. Carl Hart, will testify that classifying marijuana as a Schedule I drug is not consistent with accepted scientific evidence. This is the first time in recent memory that a federal judge has granted a hearing on the issue. Decriminalization Fails By One Vote in Columbia, MO, City Council. A move to decriminalize marijuana in Columbia failed on a 4-3 vote Monday night after hours of intense debate. City staff opposed the measure, saying it would put the city in conflict with state law, and local police also opposed it, saying it would put officers in an awkward position, especially when doing joint counter-drug operations with other state or local law enforcement agencies. Missouri to Begin Taking Applications for Low-THC, High-CBD Medical Marijuana. People who want to grow high-CBD, low-THC marijuana for medical purposes under a new state law can begin submitting applications to the state Department of Health beginning November 3. The state will license two growers, and the window for applications is 30 days. The growers must operate as nonprofits and must produce marijuana that is less than 0.3% THC. Conservative Attacks on DOJ Civil Rights Nominee Gupta Get Underway. Heritage Foundation resident expert Cully Stimson has penned an opinion piece that lays out one line of attack on Vanita Gupta, the ACLU attorney just named acting head of the Justice Department's Civil Rights division and who is nominated to permanently fill the post. "The New Civil Rights Division Head Wants to Decriminalize Possession of All Drugs," is his headline -- and the gist of his argument. Click on the link to read his piece. Canada's NDP Calls for Marijuana Decriminalization and Study. The New Democratic Party (NDP) will this week officially call for immediate marijuana decriminalization, with monitoring of the health and social side effects. The call will come in a supplemental document published alongside a House of Commons health committee report, which is set to be issued today or tomorrow. While the NDP's stand is progressive, it is not as progressive as the position of the Liberals, who are calling for legalization. Cairo University Begins Mandatory Drug Testing of Students. Any student who wants to reside in school housing at the University of Cairo must undergo mandatory, suspicionless drug testing under a new university policy. Some 4,000 students have already been tested, with 9,000 more waiting their turn. No objections to the policy have been heard.